"The final, thrilling installment in this extraordinary series from bestselling authors Holly Black and Cassandra Clare. Now, triumphant and heartbroken, Callum Hunt has just about had enough, and is ready to complete his training. But the evil Callum faced has not given up just yet... "
I haven't had a chance to read The Silver Mask yet, but I am still really looking forward to this one. I have to catch up on this series because so far it's been awesome. 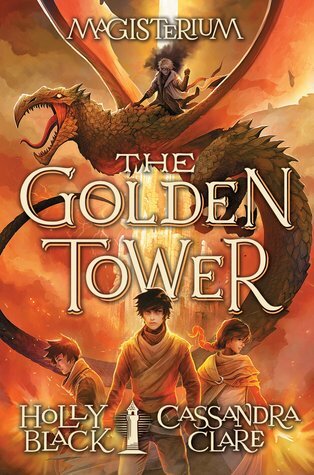 The Golden Tower will be released on September 11, 2018. Nice pick! Haven't read this series but I hope you will enjoy this installment once you get a hold of it! Wow! A combo between Cassandra Clare and Holly Black! This sounds like an interesting read! Great pick!